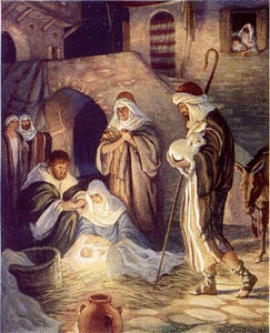 The New Harmony Baptist Church will sponsor a Live Nativity on December 5-6 from 6-9 p.m. and December 7 from 5-9 p.m. This 1/4 mile long drive-through event presents the life of Christ through nine living scenes. The event is free and open to the public. New Harmony Baptist Church is located at 7050 Hwy 69S, in Paris. The display is located five miles from the Hwy 218 Bypass toward Big Sandy. For more information, call 593-5276.